The National Christmas Tree – the one they decorate and put up on the west lawn of the US Capitol – is coming from the Willamette National Forest. The tree was cut from the Sweet Home Ranger District and is 70 feet tall with a 24 inch diameter trunk, weighs 8,300 pounds and is 35-years-old. 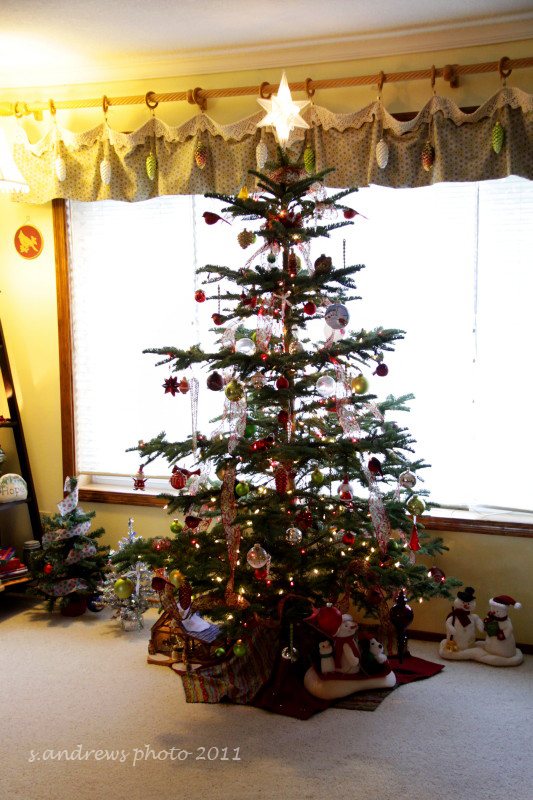 For the first time, a noble fir (Abies procera) has been selected. The last time the Capitol Tree was selected from Oregon was in 2002. This was a Douglas Fir from the Umpqua National Forest. The tree is following the Oregon Trail in reverse on its way to D.C. We caught up with the Tree and its considerable entourage when they visited the End of the Oregon Trail Interpretive Center in Oregon City. We arrived at just about 4:00, so it was still daylight. Hubby and I had a great time talking to the forest rangers and truck drivers hauling the tree. The full length of the set-up including the truck and trailer is about 105 feet! The trailer was custom made, and the new Kenworth tractor was wrapped with a really cool design. There is a team of drivers from Central Oregon Trucking here in Oregon driving the rig. The sides of the trailer are covered in a canvas that everyone was invited to sign with well wishes for the tree and crew. Of course I took my turn signing – twice! As 5:00 approached the crowds began to grow, and some friends of mine came by. We had a great time visiting, talking to the drivers and the park rangers. I even visited with the official photographer! The trailer has a window in the rear so we can see the decorated top of the tree. The lights are on as they go down the road. We were told they get quite a bit of attention running down the highway! By the time we left the moon was beginning to set over the roofline of the wagons at the museum. What a unique and memorable way to begin the holiday season! From here the tree will travel along the trail to St. Louis where they will be part of the Thanksgiving Day parade. I sure wish we could be there. We leave on Saturday heading east and then south to Texas with a load of Christmas Trees ourselves. They won’t all be celebrities though. Hubby thinks we may see the truck again before we head south. I know I will be keeping an eye out. 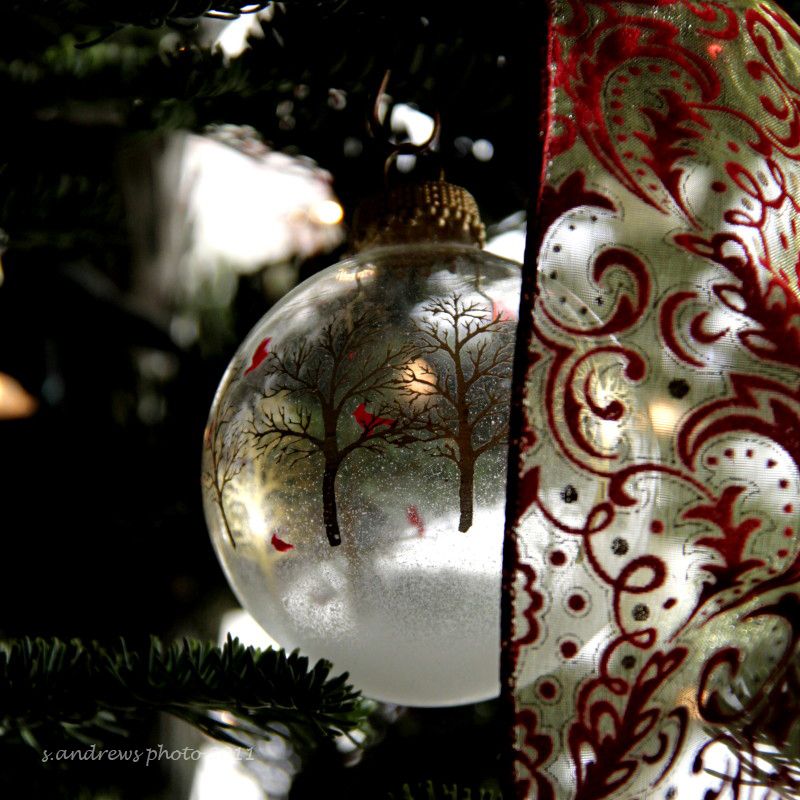 A Christmas post for you, featuring photos of my home and collection of Christmas ornaments. 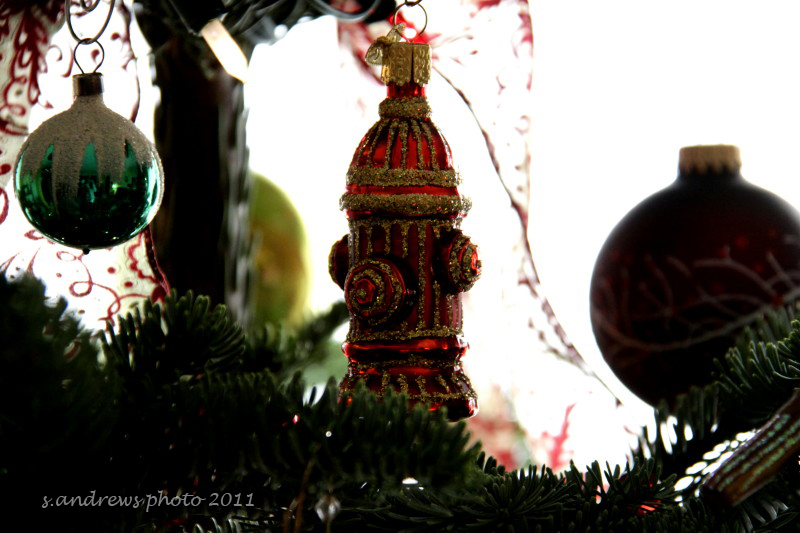 We have a small house … my large collection of ornaments has a big impact on my space. I love unpacking each box and saying hello to old friends. Since my collection has grown, I am not able to place everything every year. 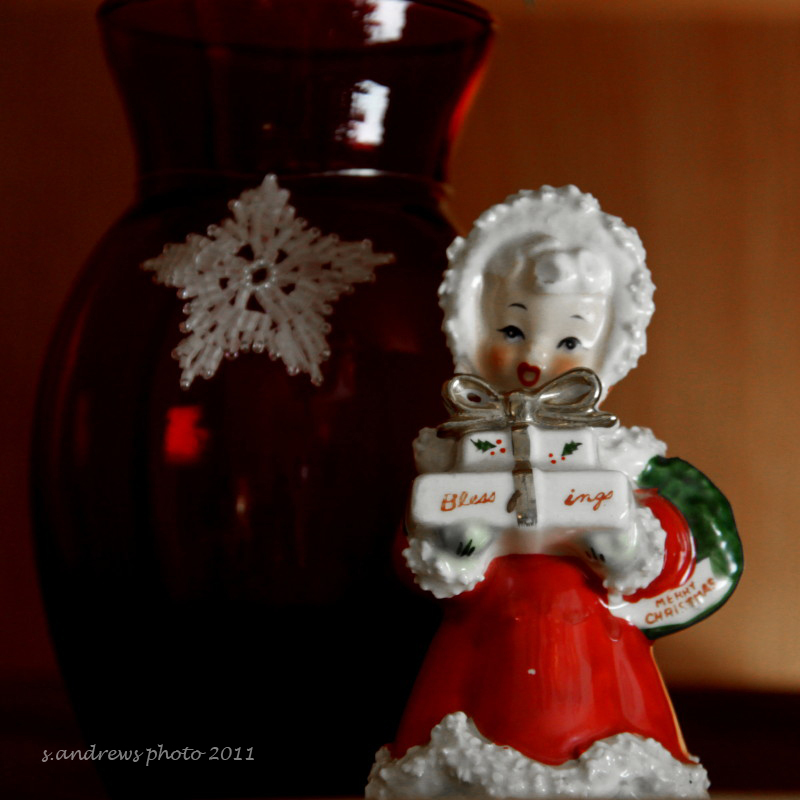 I have many vintage ornaments from my Mom’s collection. This includes a small cardboard village that I helped her set up each year. 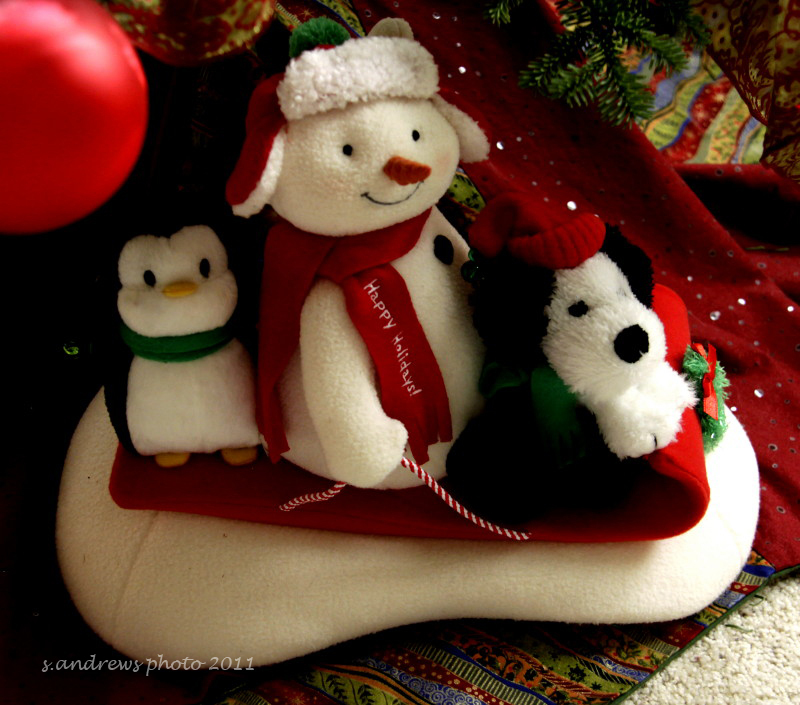 I remember sitting in the living room, placing the houses and later having her put the lights on the table, followed by the plastic shredded snow she carefully put away to use each year. She always preferred the plastic flakes, even when new options became available. 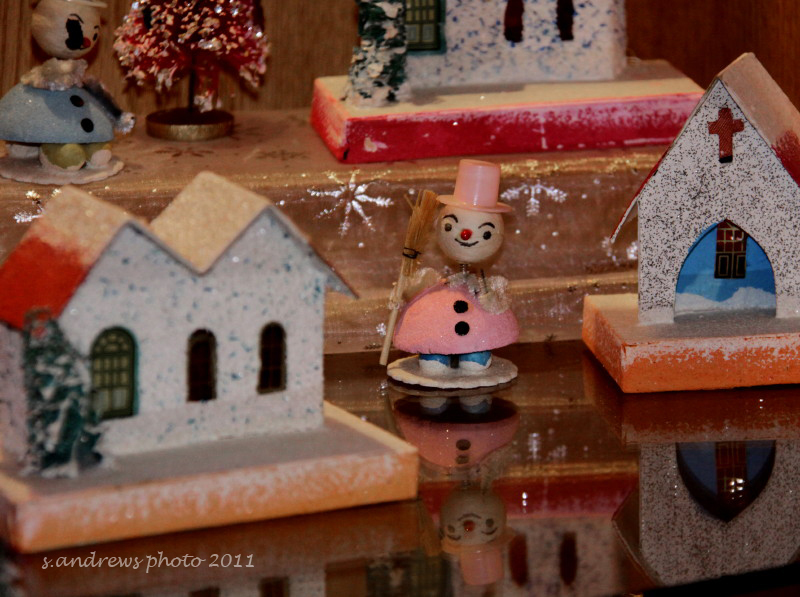 There was a collection of Christmas Candles too. I am not sure what was my favorite, the village or the candles. And the tree ornaments … I have several different collections of those, including Mom’s, a Pine cone collection that I have been working on for several years now, and birds including cardinals and goldfinches … these get put on the tree, in bowls and on my Ornament Tree that I will feature in a later post. 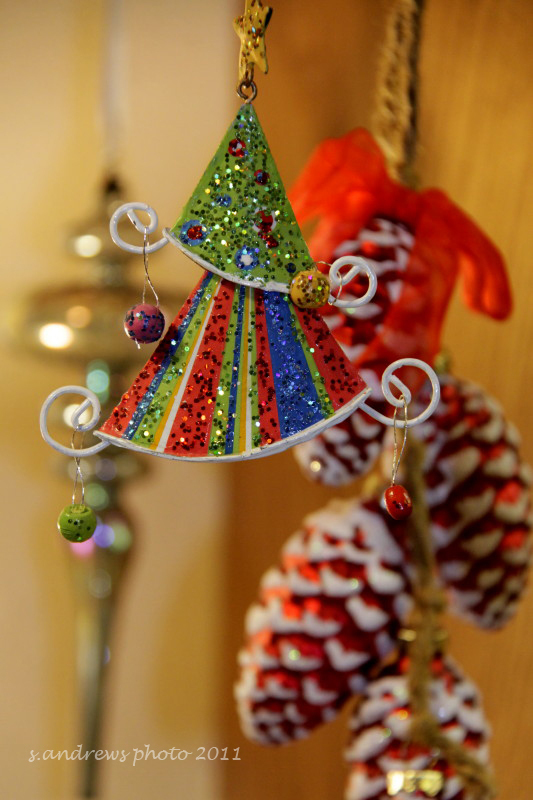 I have a collection of Christmas trees, from very small village sized to tabletop lit trees in tinsel, with fiber optics and just silk. 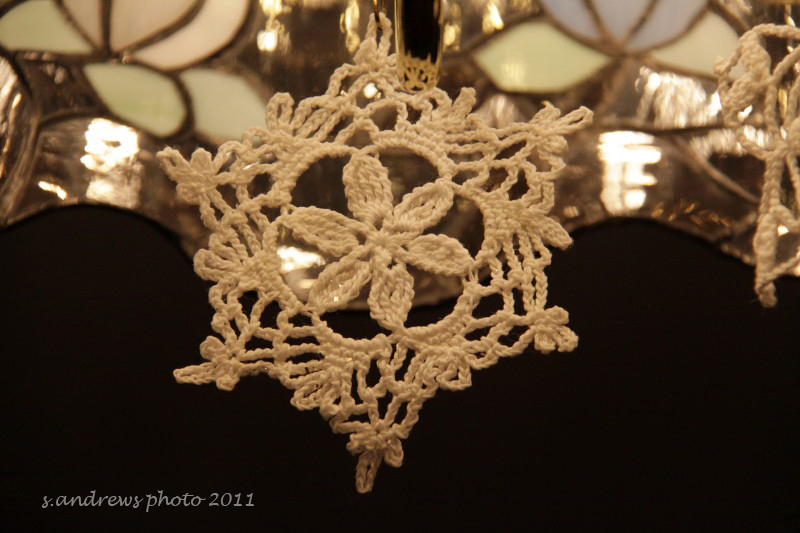 And the handmade snowflakes I made 20 years ago, not quite vintage but getting close!! Always a Nobel Fir, this years small tree really sings out the color Red. 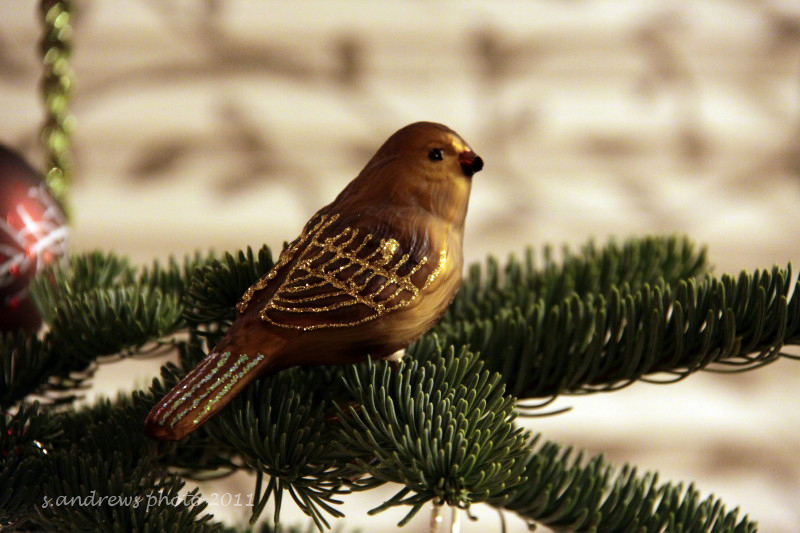 I love birds on my tree. 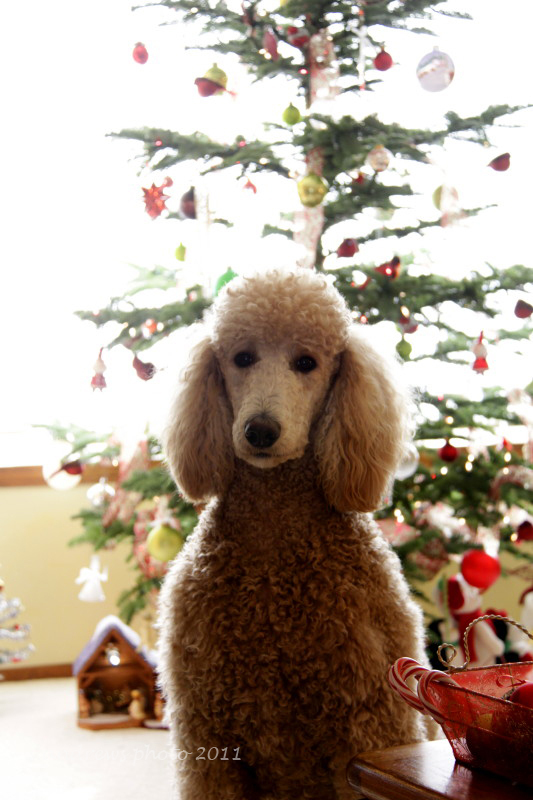 New Red ornament this year, in honor of the Pup ! 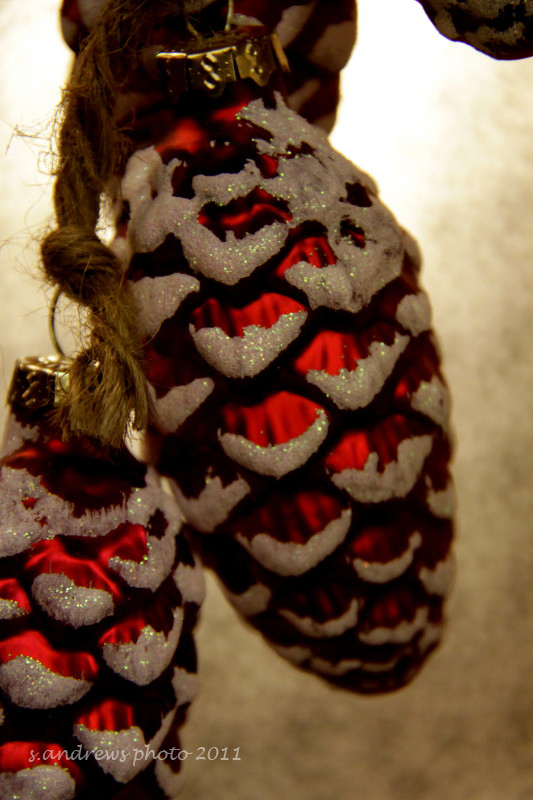 Pinecones are a fave of mine, I have them everywhere. 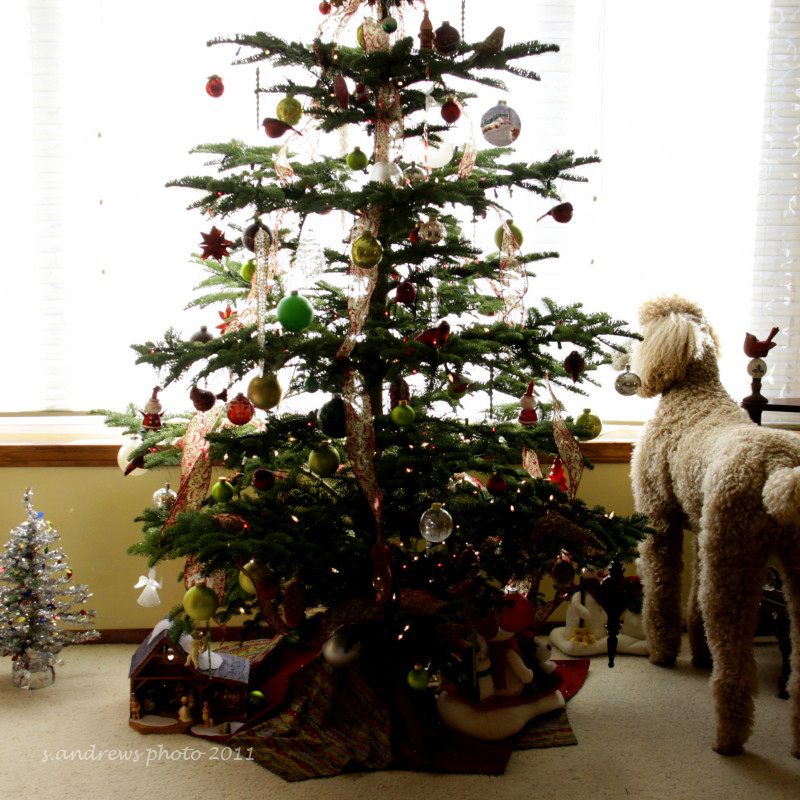 New Red flocked ribbon adorns the tree this year. An old friend sits beneath the tree every year, not quite vintage yet. 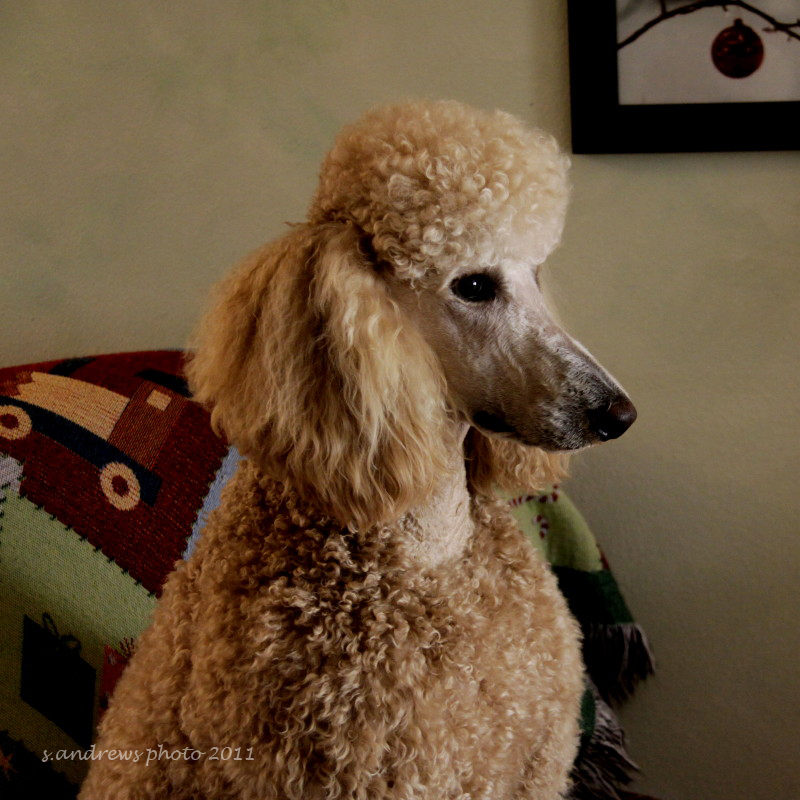 In front of the window, Pup peeks out to watch Dads outside. 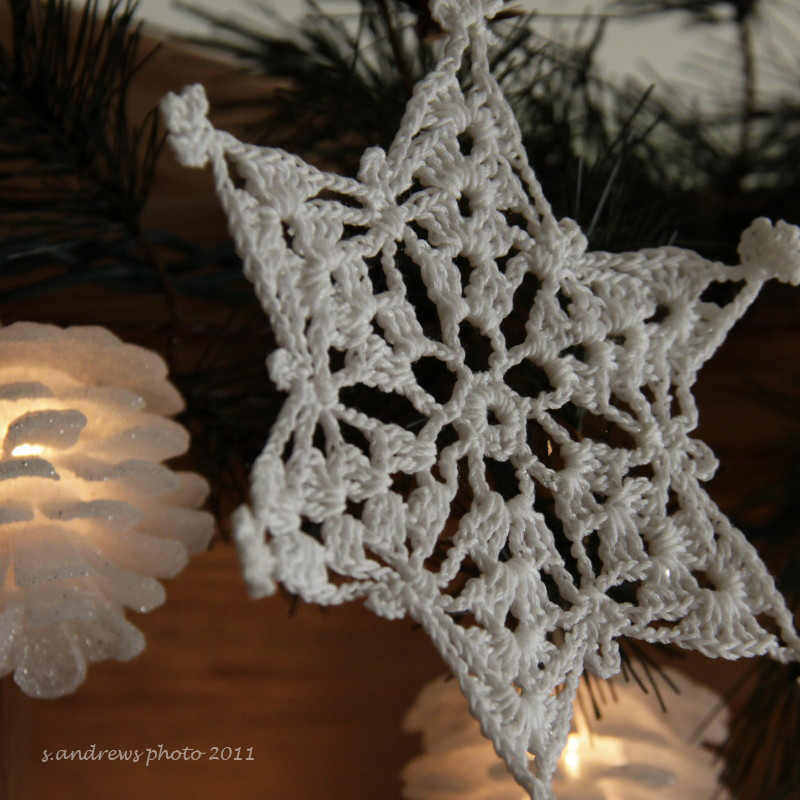 Pinecone lights in a garland, hung with almost vintage crochet ornaments. 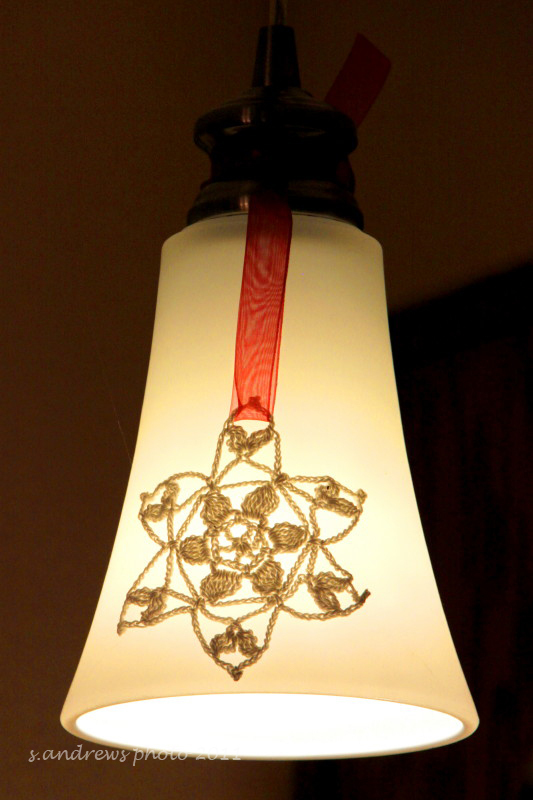 Old crochet ornaments with a red bow on the kitchen lights. And hung from the dining room chandelier. 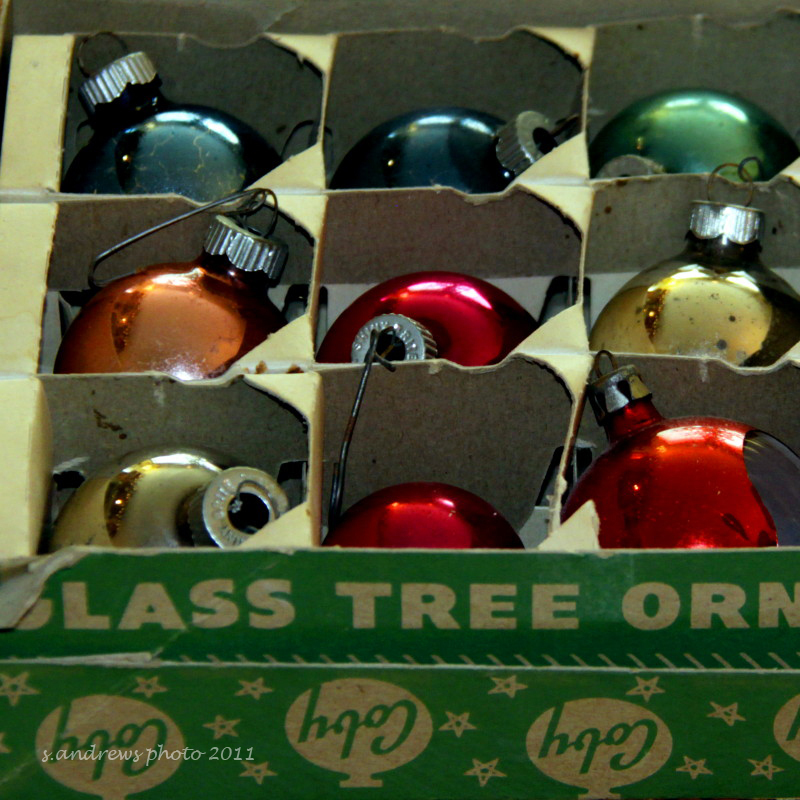 This box of vintage ornaments is still packed the way Mom put it away. Part of the vintage village of Mom’s. 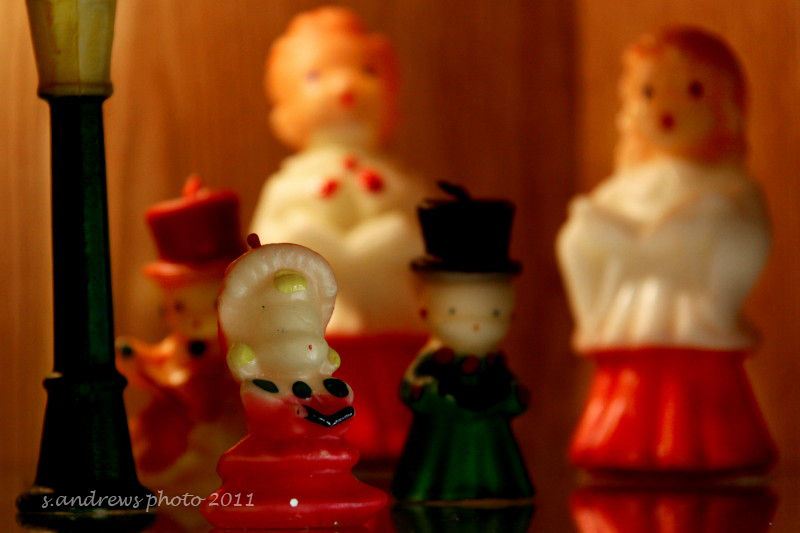 Candle figurines, Carolers and Angels singing… all from Mom’s. Angel bell, and vase with hand beaded ornament. 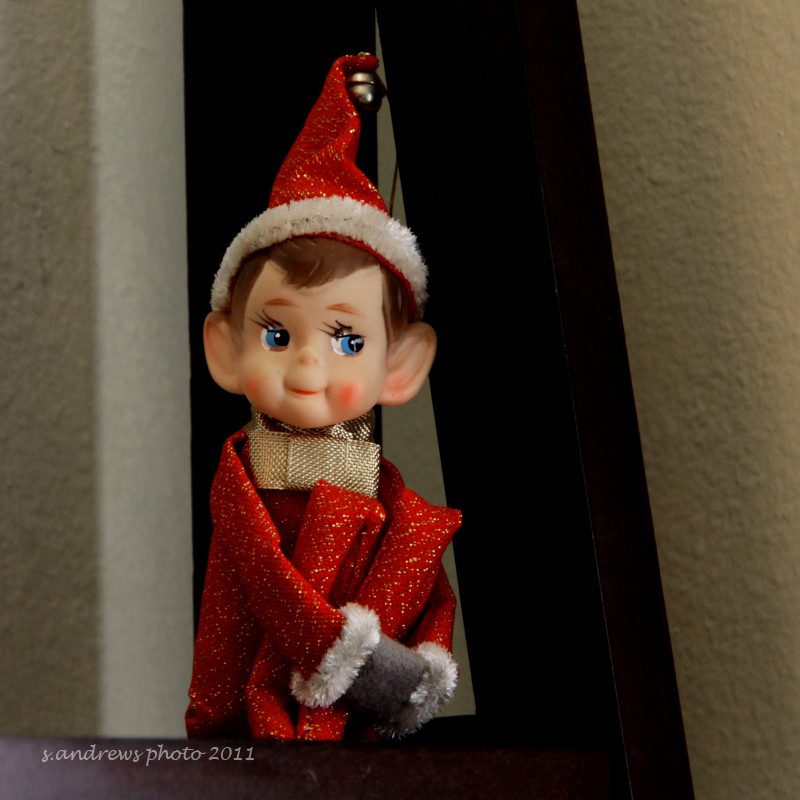 My Original Elf on the Shelf, a gift years ago from my Aunt. 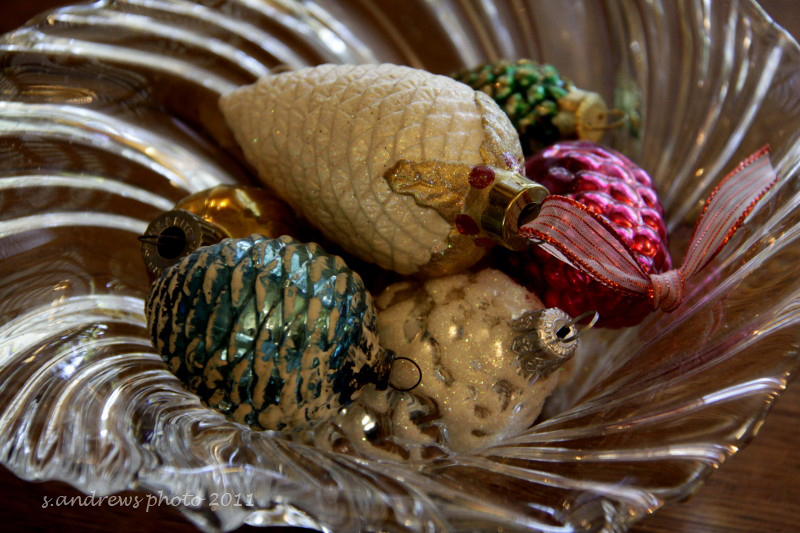 A small portion of my pinecone ornaments collection. Some of these pictured are vintage. 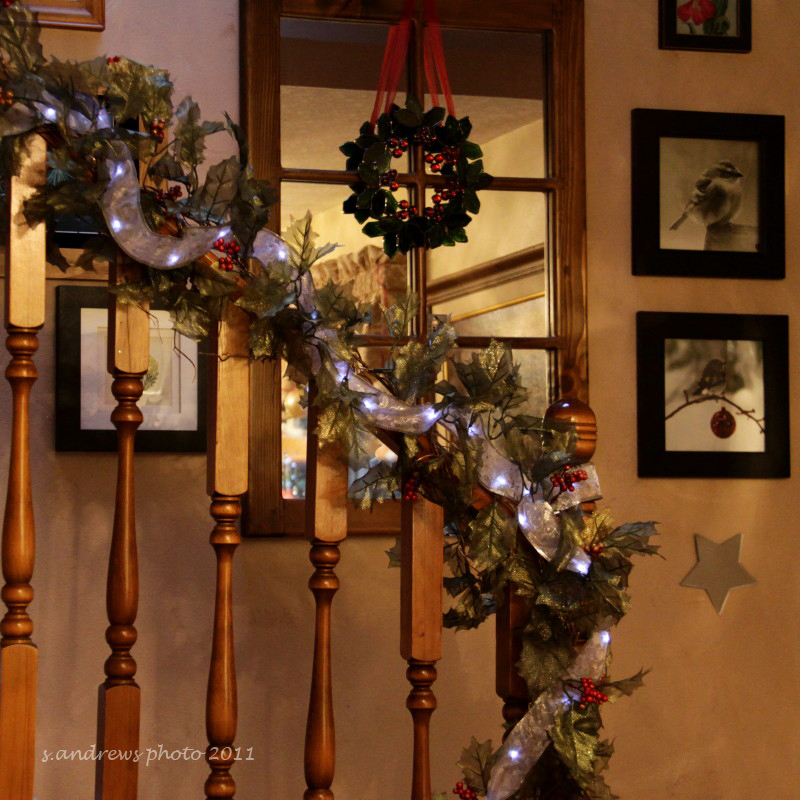 Draped with silk holly and a ribbon with LED lights…love the banister! 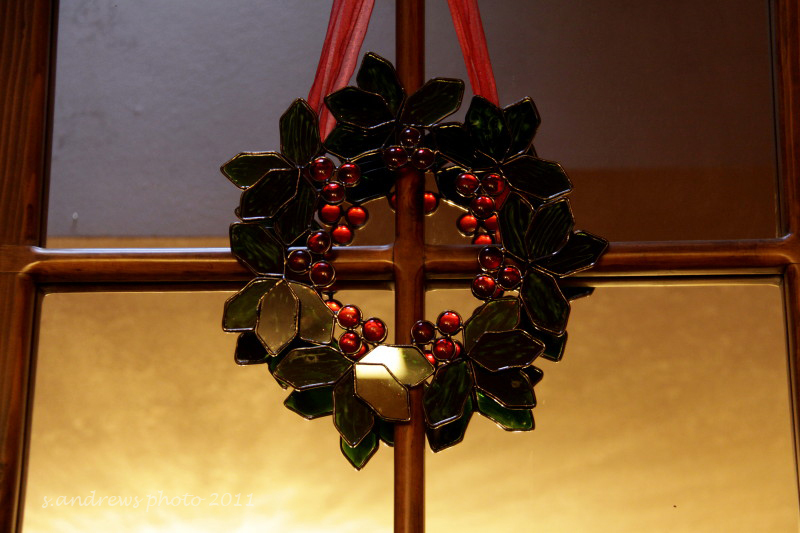 Stained glass wreath hangs on my Mom’s mirror. 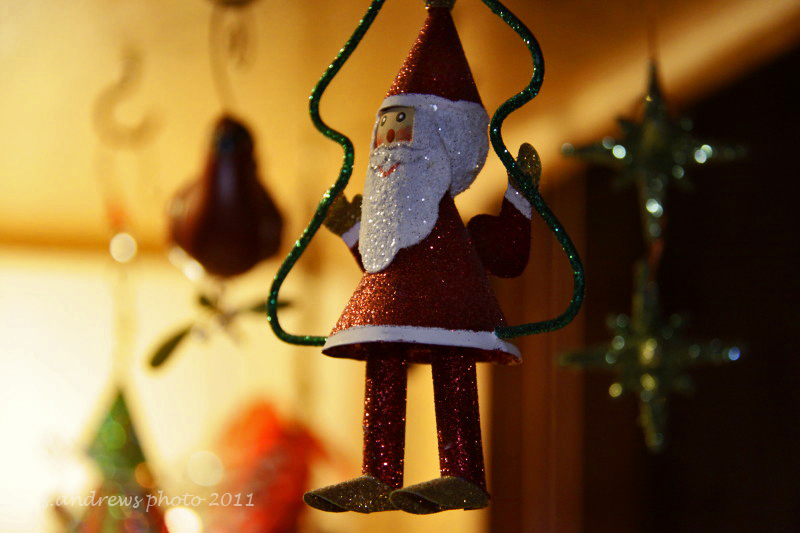 Ornaments hanging above the kitchen counter. Each year I love placing these old friends. 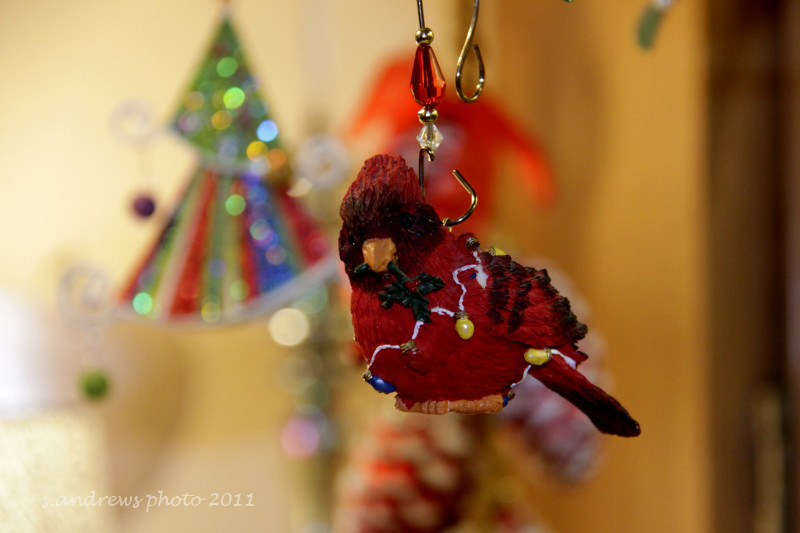 A Cardinal ornament, a gift from September Daughter when she was still a tow headed little girl. 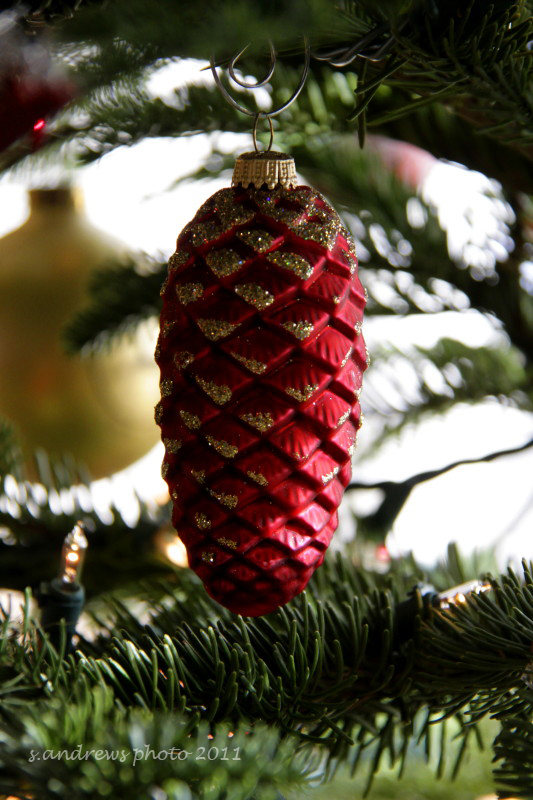 Never enough Red, or Pine cones !! 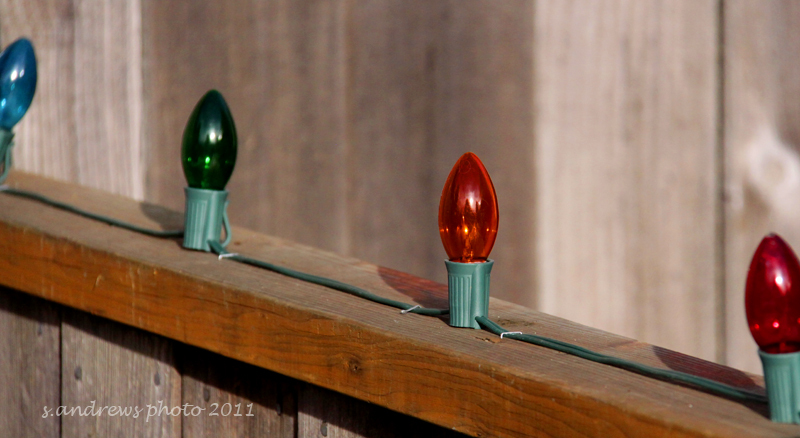 And stepping outside, the sunshine plays on the outdoor bulbs. up next: New Years Musings … resolutions, or bucket list? ?